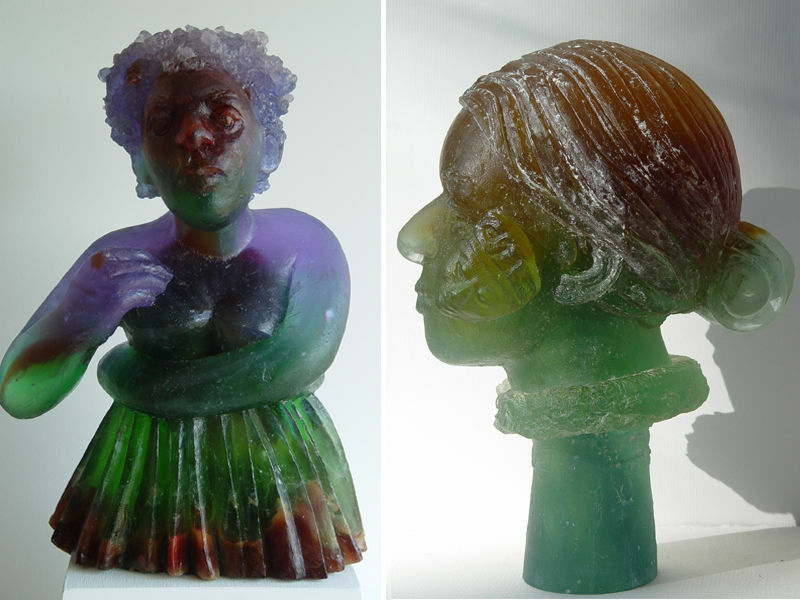 The National Liberty Museum presents Welcome the Stranger, a one-woman exhibit of cast glass, ceramics, and mixed media by Micaela Amateau Amato. In this exhibit, Amato interprets the likeness of modern and historic figures who rose like “superheroes” to accept seemingly impossible challenges of liberty. This unique collection includes images of Ruth Bader Ginsburg, Harriet Tubman, Mahatma Gandhi, Albert Einstein, Malala Yousafzai, and many others. Through these works, Welcome the Stranger reinforces the Museum’s central themes regarding the basic principles for safeguarding liberty, including heroism, empathy, and the appreciation of diversity. Micaela Amateau Amato is professor emerita of art and women’s studies at Penn State University. She is inspired by her Mediterranean ancestry from Iberia, Morocco, Turkey, and Rhodes. Her work is a reflection of her multiple personal and political influences resulting from her family’s migratory history. The museum is fully accessible - a ramp is available at our side entrance!